Graham Clark resides in Vancouver, BC. He is a 4-time Canadian Comedy Award winner and co-host of Maximum Fun’s Stop Podcasting Yourself. Clark has appeared at Just for Laughs, Halifax Comedy Festival, Winnipeg Comedy Festival and fringe festivals across Canada. 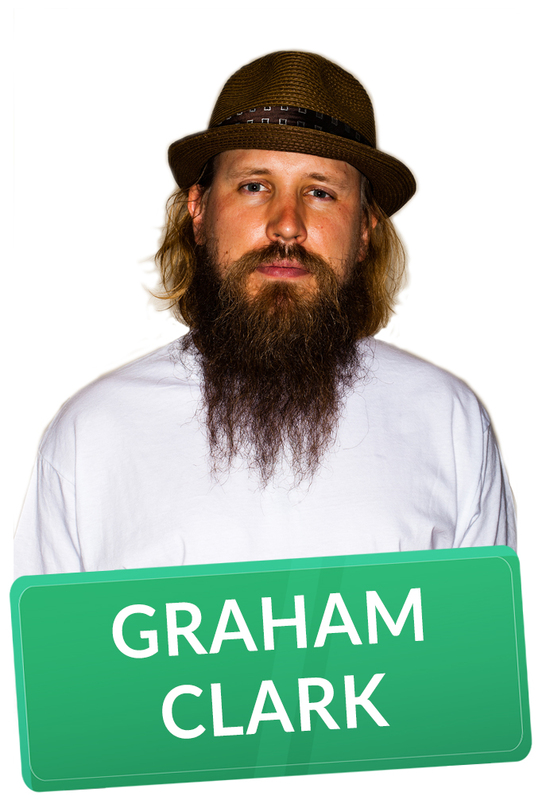 He is a winner of the Yuk Yuks Great Canadian Laugh Off and has appeared on HBO’s Funny As Hell. Graham is also the creator of beardpaintings.com, where he sells paintings made using his beard as a paintbrush and donates the proceeds to charity.